Solids and stripes, step aside. 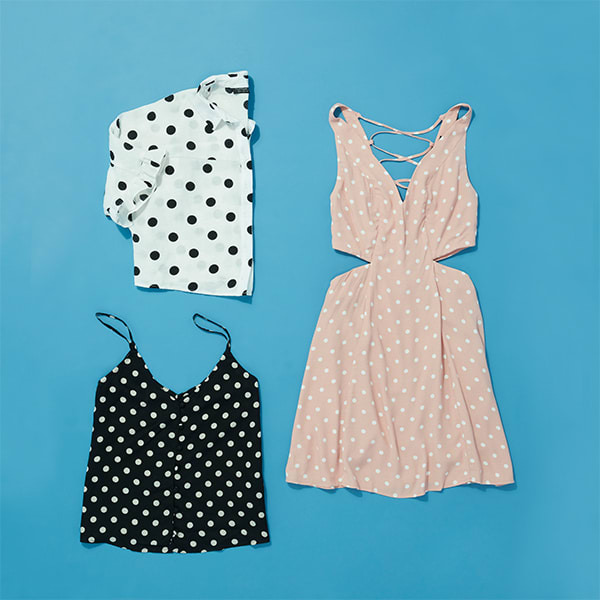 This summer, we're putting polka dots on the spot. This whimsical print is fun to wear, and surprisingly easy to work into any look. From bold all-over prints to more subtle spotted combinations, polka dots perk up dresses, tops, and even accessories. (Socks, anyone?) Below, we're breaking down three new ways to wear this motif, from ultra-bold to soft and sophisticated. 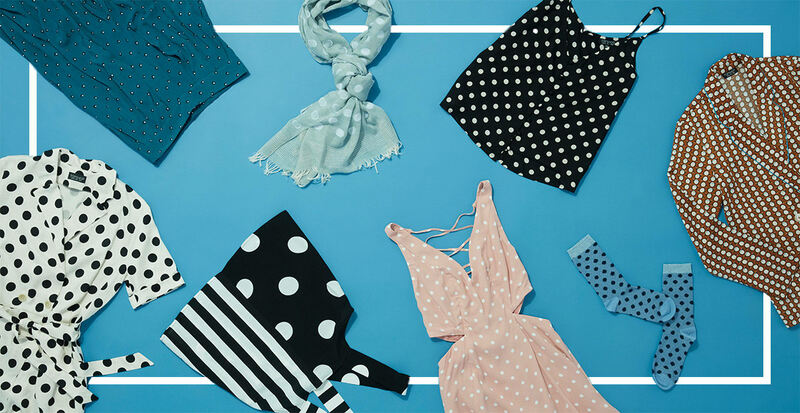 Dive head first into this summer trend with large, graphic polka-dot prints. From button-up blouses to tank tops and dresses, there are countless stylish ways to work some spots into your look. Go a step further with a high-contrast combo like classic black and white. While a bold print in nature, polka dots can also lend a pretty, understated touch to an outfit. Start off with neutral hues and low-contrast colors. This approach is particularly chic when applied to knits and softer fabrications. Try it on socks, a scarf, or lounge pants. Let polka dots show off their playful side. In black and white, a polka-dot-and-stripe combo gives off an ultra-modern vibe. Mixed scale dots create a unique motif that begs to be worn on rompers and dresses. A polka dot jacket can replace standard (read: boring) work wear.